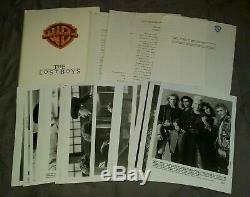 From 1987, this is an original... MOVIE PRESS KIT for the huge cult vampire favorite Corey Haim movie "THE LOST BOYS"... 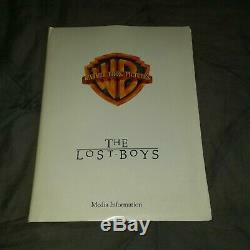 This is an INCREDIBLY RARE press kit to find.. 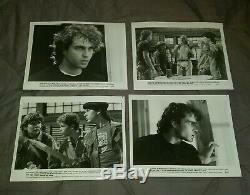 Kit comes all complete notes of production and cast info.... Comes with (17) black and white 8 X 10 photo's..
Is in excellent condition and comes in the original 9.5 X 12.5 folder... Folder is in great condition with just minor age and storage wear... If that weren't enough... 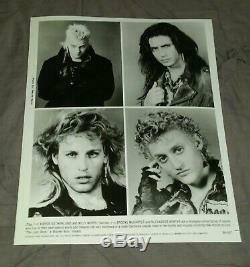 The mailer comes in nice condition with scattered wear... Overall a VERY NICE example of this scarce set.. 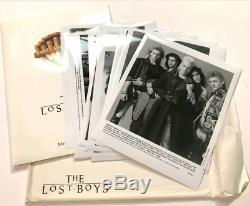 The item "1987 THE LOST BOYS Corey Haim Original MOVIE PRESS KIT With (17) Photo's-Rare" is in sale since Tuesday, March 12, 2019. 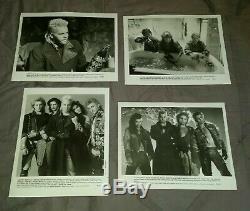 This item is in the category "Entertainment Memorabilia\Movie Memorabilia\Press Kits\1980-89". 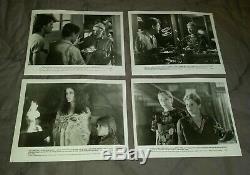 The seller is "kimandjohn2012" and is located in Buffalo, New York. This item can be shipped to United States.